As Prevention of Blindness Week concluded in India we highlight the amazing work that Specsavers Ireland have done, and continue to do, in Kolkata with The Hope Foundation. There are 10 million people suffering from blindness in India today. That is one quarter of the blind population on earth. Blindness is a condition associated with extreme poverty. There is little blindness, comparatively, in the West. Prevention of Blindness Week is a Government supported initiative, observed in India by raising awareness of the precautions which need to be taken to prevent blindness. It focuses on detection, cure and treatment of eye diseases. In schools and villages, adults and children will be educated about the importance of eye hygiene. Eye check-up camps are organised in cities and villages across the nation. The major causes of blindness in India today are trachoma, cataract, vitamin A deficiency, malnutrition and a shortage of optometry services. Cataracts, a disease of poverty, cause half of all blindness on earth. In the developed world, people with cataracts get treatment in a timely fashion and generally do not suffer blindness as a result. In the developing world, people with cataracts routinely go blind. A simple operation is the difference. Specsavers Ireland have supported HOPE to roll out a Blindness Eradication Programme across street and slum communities and schools through community based camps and special eye clinics in the HOPE Hospital in Kolkata. The project is for people who are living in street and slum communities and have no access to affordable healthcare. It aims to increase awareness of eye health and the need for check-ups. 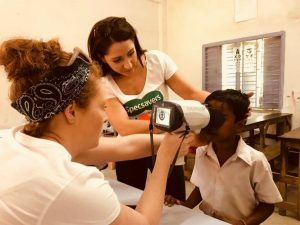 Eye-screening and check-up camps are run in schools and communities, with treatment provided in HOPE Hospital as necessary. With Specsaver’s incredible support, HOPE can provide high quality, sustainable eye care through primary, secondary and tertiary treatment. Such treatments reduce corneal scarring, visual loss from vitamin A deficiency and measles and other preventable causes. Those requiring further support are provided with glasses by the project or are taken to HOPE’s Hospital where they can undergo surgery in the hospital’s dedicated Eye-Surgery theatre. 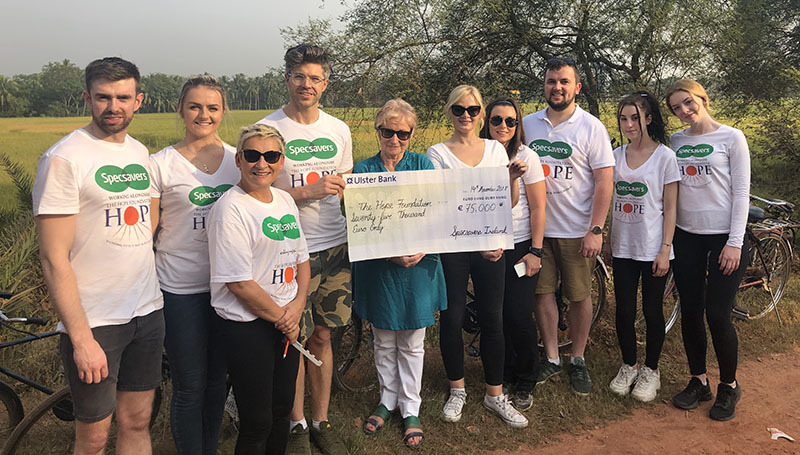 Last November a team from Specsavers, joined by Specsavers Ambassador Darren Kennedy, embarked on their second mission to Kolkata with HOPE. While there, they joined up with the Night Round Medical Ambulance for three nights to run eye camps for the street population. This is truly extraordinary, life-changing work and signifies what can be achieved when we truly collaborate for a common mission. 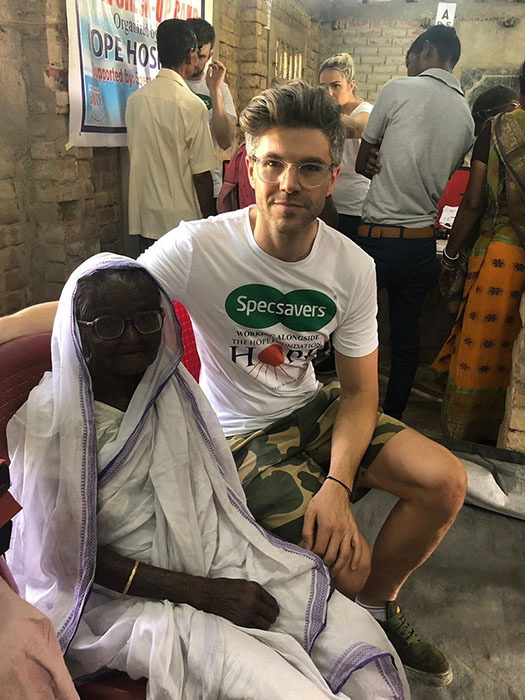 With Specsavers support we have so far conducted over 40* free eye check-up camps, treating over 7,188* people, over 4,455* free pairs of glasses were dispensed and over 2,697* free medicines were given to patients. Additionally, 234* eye surgeries were conducted at the HOPE Hospital.